We love how this dining set blends an aerodynamic, futuristic base with more traditional, cross back chairs, and finishes them all in an Industrial-grade metal finish. High quality. Made in Spain. 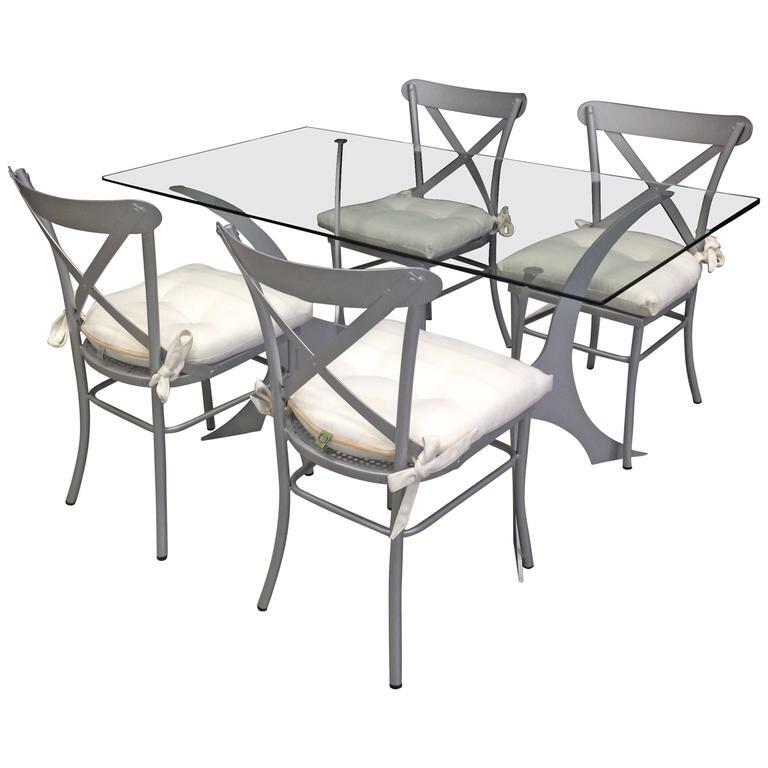 Includes: four chairs, four cushions, and one table base with glass top. This metal and glass garden table has black wrought iron legs with antique French decorative grill seen through the inset glass top. Great as outdoor porch, garden or dining table.